If you're a bride who dreams of hosting something a little different; a wedding which has a multitude of quaint moments that make your guests go 'woah' or 'aww,' then you're in for a treat! Has the normal, white on white (maybe a purple twist?) wedding just become a little... dull for you? Are you bored of hearing the same old songs? Lauding over the same old floral centre pieces? Or, are you simply not a fan of cake? Well, if you're a Bride who dreams of hosting something a little different; a wedding which has a multitude of quaint moments that make your guests go 'woah' or 'aww', then you're in for a treat! Take a look at these 10 alternative wedding ideas below and note down any of your own ideas in the comments section. 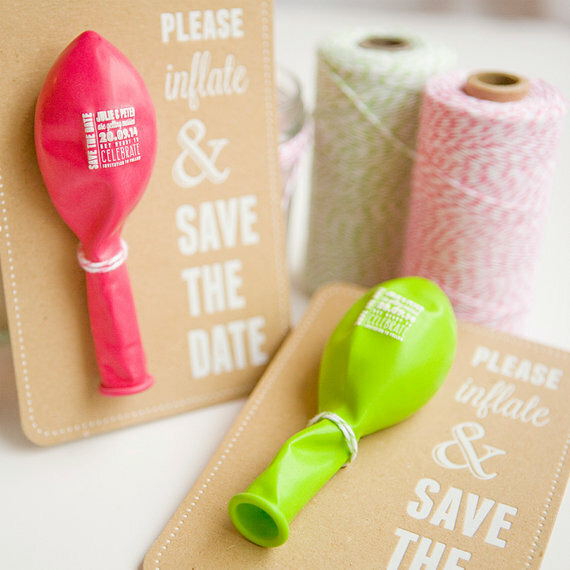 Let guests know you have finally popped the question with these totally cute balloon save the dates. An entirely unique and fun save the date, excitement for your special day will build as guests have to blow up the balloon to find out all your special details. Kick-starting your paper trail to marriage is the wedding invitation. Get your guests ready for something special with one of these Wedding Tea Towels. Made in a number of funky designs, these fun and useful letters of note offer a quirky alternative to the important wedding invitation. 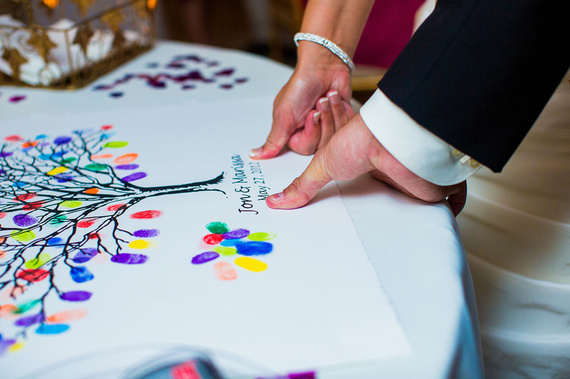 Embrace a colourful twist on the oh so important wedding guest book by opting for this alternative fingerprint guest book. Perfect for a day full of colour and life, let your guests record their attendance by leaving a thumbprint. The idea behind the fingerprint guest book is to ask guests to fill in the image (in this picture a family tree) and then frame the image to hang in your home, as heartfelt keepsake to be admired for years to come. Get guests in the party mood by kicking off the reception with one these strawberry vodka shots. Sooo much more fun than the standard table plan, leave these out at the entrance and let guests knock back a shot to find their table number revealed at the bottom of the shot glass. 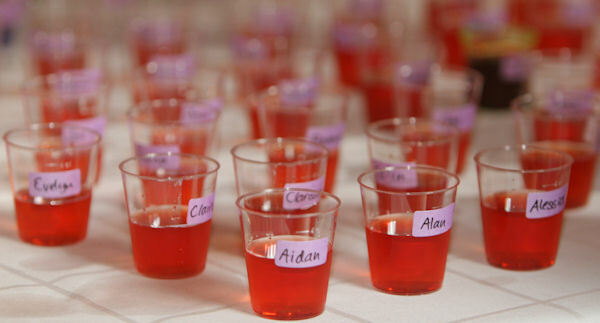 If you're having kids (or there are guests attending who simply won't want to drink) at your reception, make sure to offer a non alcoholic alternative. Try a quirky alternative to the standard place card with these on trend chalk alternatives. 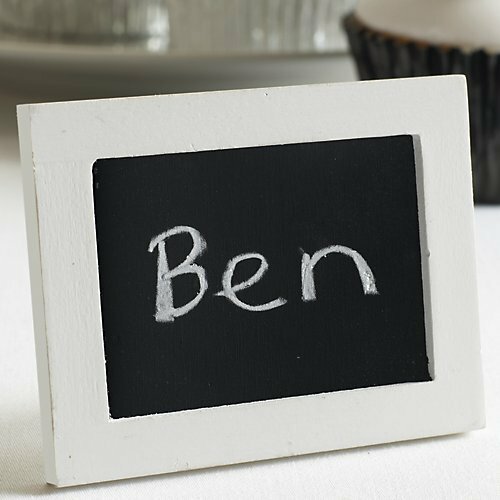 A great way to add elements of special personalisation, the chalkboards can also be incorporated into a fun wedding wide game or guests could leave a personal message of advice for you to read after the wedding. 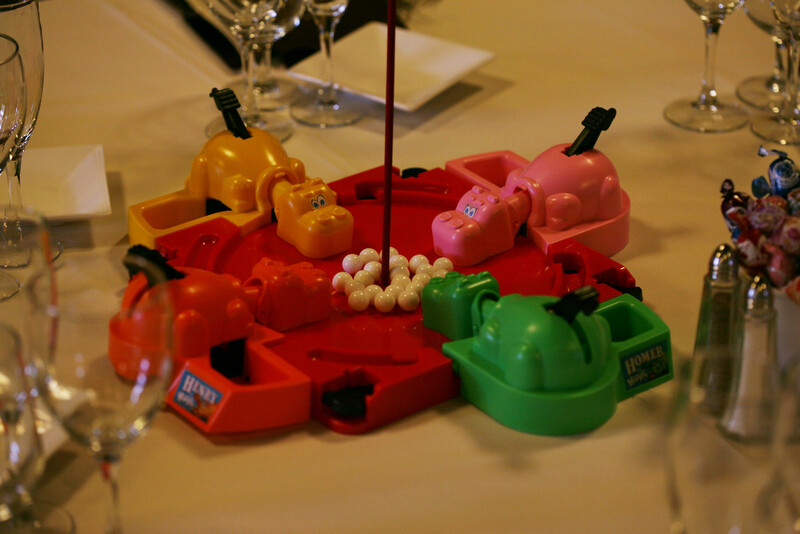 Add a little offbeat pazazz to your wedding tables by trading the floral centrepieces for game centrepieces. Fun boardgames certainly don't need to be expensive either (Charity shop bargains!) 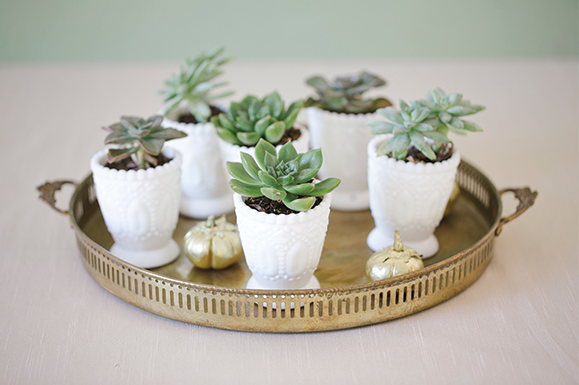 and with a little DIY, turning them into stunning, yet fun table entertainment can be so easy. Love plants? Yes!? 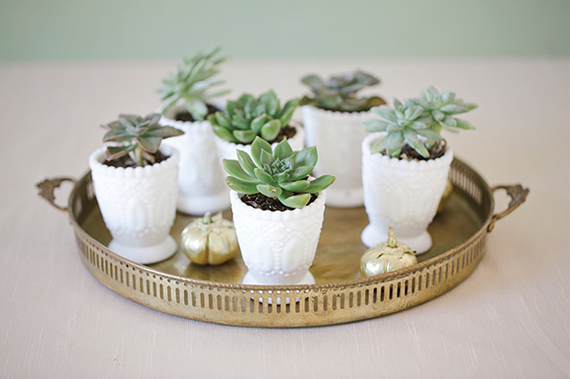 Then you will adore these impossibly cute horticulture wedding favours. Lasting a lot longer than the usual edible alternatives, these favours will be the gift that could (possibly!) last a lifetime. Bonus: These sweet favours will add natural colour accents to your already gorgeous tables. Throw out the edible accoutrements and get all sugary with one of these super-sweet doughnut wedding cakes. The doughnuts not only offer a fun (and tasty!) 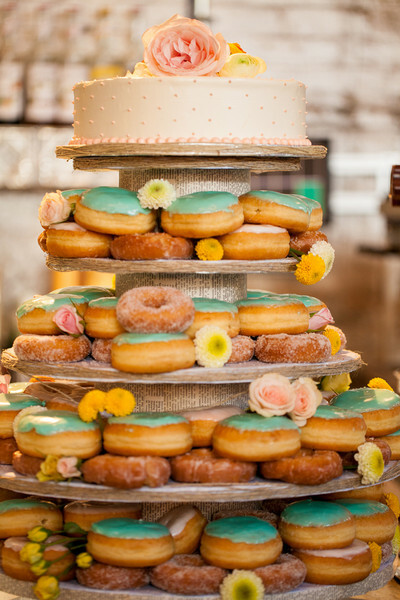 alternative to the wedding cake, but you can build your cake from a number of different flavoured doughnuts to offer something perfect for every palate and every guest attending your wedding. If you are not a huge fan of the sugary sweet treats, why not offer another unique alternative for your wedding guests such as a Wedding Pie? A budget saver and a great way to add a little excitement to your special day, a DIY bar can be a quirky alternative to the open bar. 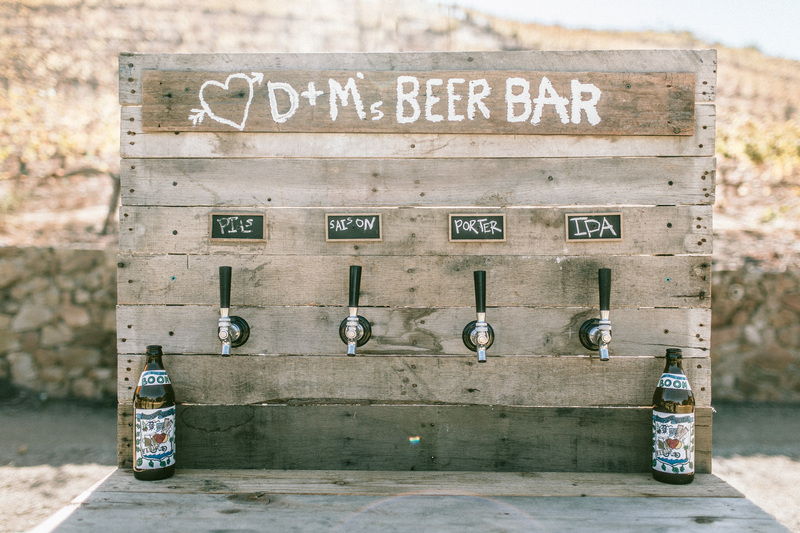 From beer kegs to your favourite spirits, doll it all up and don't forget to note down a Bride and Groom special. If the DIY bar is getting a bit mainstream for you, turn up the whimsical elements by taking these cocktail master classes. 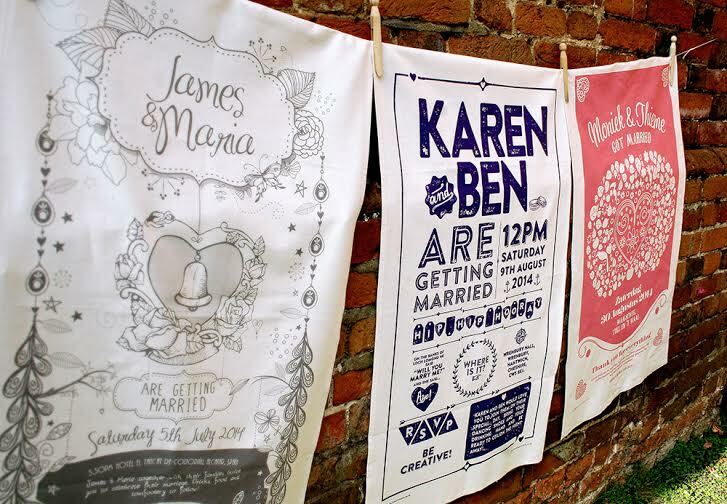 Are you having something quirky or alternative at your wedding? Let us know in the comments below!